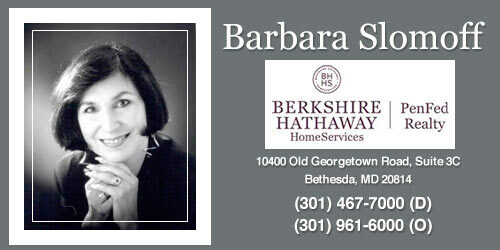 Helping you find the perfect home in Bethesda MD including areas such as Bethesda, Potomac, Rockville, Silver Spring and Gaithersburg. When you decide to sell your property, the selection of a REALTOR® is certainly of prime importance. You want to know who will best represent your interests and get you the best price! At first meeting, I will tour your house and observe all that you have done to create the environment which you have enjoyed and that will be attractive to a buyer. I believe honest communication is one of the most important attributes in the agent marketing you home. I will tell you how a buyer will see your house and suggest any ways to improve its' marketing appeal. As your agent, it is my primary responsibility to respresent you to the world of buyers... and to their Buyer Agents. I will get the message out about the benefits of your property. It is not enough that buyers know your home is on the market... they need to be enticed to come see it. So the description of your home is critical - as people respond to the sizzle of a home, not just the specific number of bedrooms and baths. Wording of any marketing materials, whether it be in the Multiple Listing Service or advertising, is where I place great emphasis. Photos of your home are also important - to show the most desirable features - and the use of photography is found throughout my marketing materials. Web marketing is now seen more than any other medium and I take full advantage of that to promote your property too. As a seller, you need to have consistent feedback on your home. 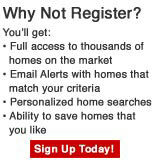 It is my job to contact agents who have shown your home and stay in touch will potential buyers. You will be kept informed of our progress and any comments on a weekly basis. Furthermore, I will be representing your side at any and all contract presentation and I will follow through all the way to closing. Your goals shall be of utmost importance as I guide you to a smooth settlement. If this is the type of expert marketing you are looking for when selling your property, call me at 301-467-7000 or me today and let's get started. This could be the best move of your life! Since I am providing this information to you "sight unseen", my estimate of your property's value must be understood to be approximate. Factors such as the home's location, condition, your financial needs and motivation for selling all influence your asking price. I hope this information is helpful. If you wish, I can meet with you to discuss my services to help you to buy or sell a home.